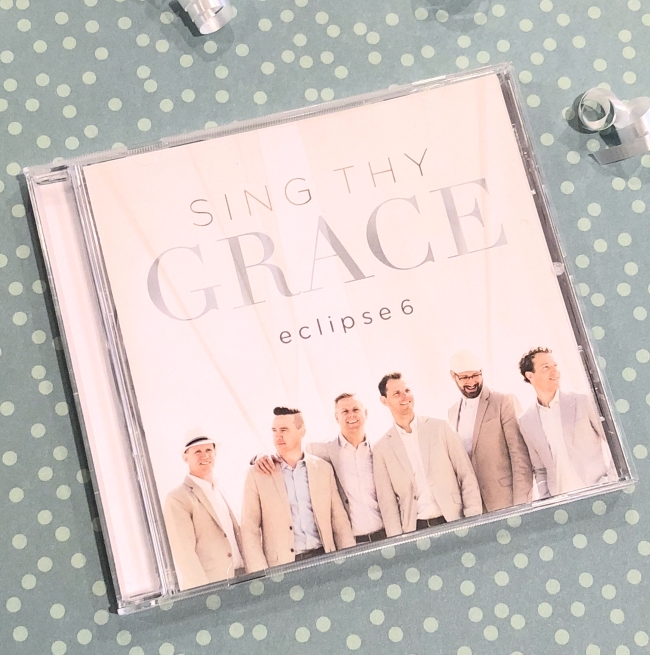 Have you heard of the CD, "Sing Thy Grace" by Eclipse 6??? This post is sponsored and may contain affiliate links. I received the CD to do the review. All opinions are 100% my own. See the full disclosure. Music is a huge part of my life! I love to listen to it when I'm in the car, while I am working on blog posts, doing house work, and if my hubby would let me, I'd listen to it while asleep! I'm always so excited when I find good inspiring music! I found Eclipse 6 last year at Christmas time. Their "Hamildolph", is my favorite! I think I watched the music video a hundred times last year. If you haven't heard of Eclipse 6 they are an A Capella group. It seriously amazes me that there are no instruments that all the music comes from their mouths! What talent!! Did you know they have a new CD out??? They do and it's amazing! 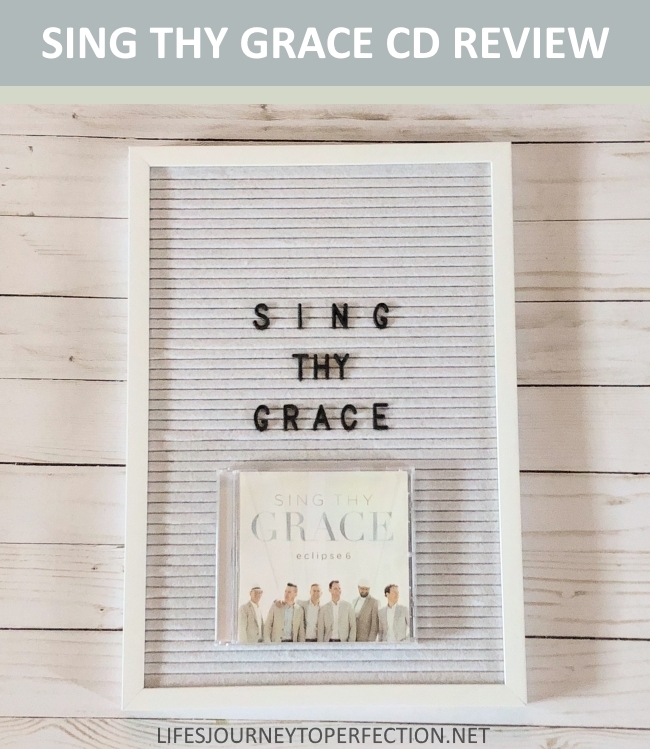 "Sing They Gace", is a beautiful CD with songs that focus on the Savior. This is a CD that I would listen to ALL of the time! In the car, while working, with my kids, etc. It's also on Deseret Book's Top Ten Best Sellers list! They have a beautiful song, "Nearer, My God, To Thee", that features Madilyn Paige. Simply beautiful! I really can't say I have a favorite song from the album, they are each so good. If you don't want to take my word for it and would rather take a listen yourself you can check out some of their music videos. But I tell you, you won't regret getting their new CD! Check out my Instagram page for a chance to win a Date Night (2 Tickets to Dec. 7, 2017 Eclipse 6 concert at The Grand Theater) Giveaway is not affiliated or sponsored by Instagram. Giveaway will close on December 2nd at 5:00 pm MST. When giveaway closes a winner will be randomly chosen by those who followed all the directions to enter.